This article is part of our Andrid Police Most Wanted series. The headphone jack is pretty much dead, with precious few big players still supporting the legacy connector; even tablets like the Pixel Slate and the new iPad Pro are ditching it. That is a categorical bummer, but we are seeing more and better wireless options as manufacturers get hip to the growing demand for earbuds we can use with our jackless phones. In her review, Rita described the Libratone Track+ as "almost perfect." 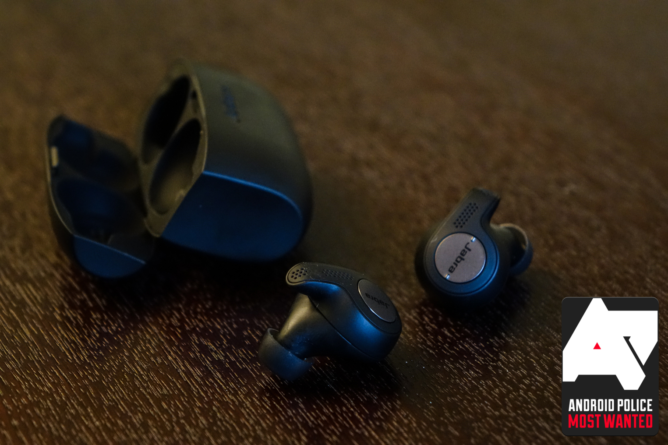 The noise-canceling wireless buds sound great and are solidly constructed, with metal bits and a thick, rubberized cable. They're IPX4 certified, too — which isn't much water resistance, really, but it's enough to keep sweat from ruining them at the gym. 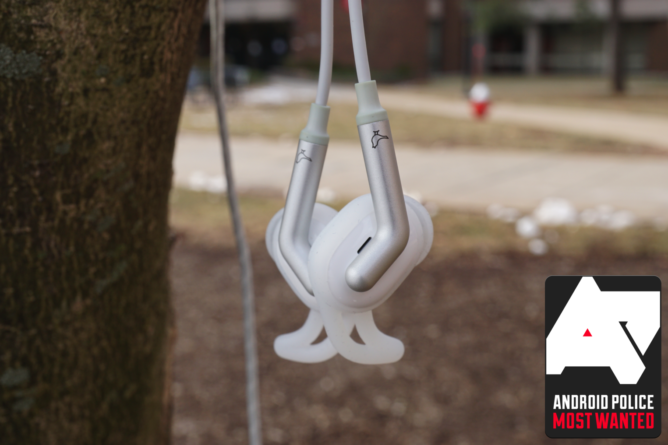 Rita says they're comfortable and fit snugly in-ear without falling out during exercise. Battery life is solid, too, with six to eight hours of playback time depending on usage. But they are just almost perfect. The companion app is a mixed bag, and they charge by MicroUSB. That's certainly better than a proprietary connector like the ones Jaybird insists on using, but USB-C is the standard and we want it everywhere. There's also the price. At $199, these guys aren't cheap. Still, they're a premium product, and for the most part, they earn their price tag. You can grab them in black or white on Amazon. If you're not looking to drop 200 bones on a pair of earbuds (and we don't blame you), this one might be more your speed: while they don't feature as many bells and whistles as the Libratone, the Optoma NuForce BE Sport 4 are a similar form factor and sound very good for less than half the price. Jordan gave the BE Sport 4 a glowing review, praising their sound quality and battery life. In his testing, they lasted upwards of nine hours on a charge, which is pretty great. He wasn't particularly impressed by the buds' fit, but comfort is subjective. And unfortunately, like the Libratone, they charge with an outdated MicroUSB connector. You can pick up a pair for just under $80 at a number of retailers. 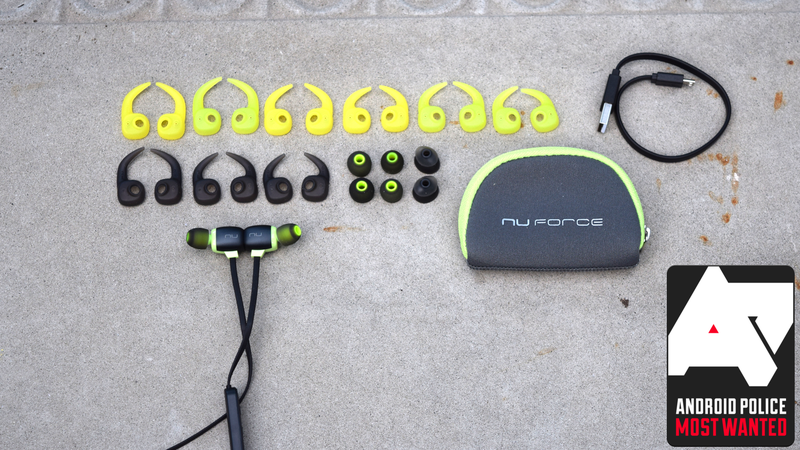 There are myriad great choices when it comes to Bluetooth earbuds. The Jaybird X4 are a very good pair of athletic-focused buds, with great sound, solid build quality, and a highly customizable fit. If you can live with a proprietary charging dongle, it's hard to find fault with them, and for $130, they're a much more compelling buy than Jaybird's $100 Tarah earbuds. There's also the Tarah Pro, which promise 14-hour battery life for $160. If you're a fan of collar-style earbuds, the Phiaton BT 150 are another solid pick; they're going for about $99. The mass removal of 3.5-millimeter headphone jacks in phones just so happened to coincide with the rise of a new product category: fully wireless earbuds. These futuristic listening devices have no wires (obviously), theoretically making for a comfortable listening experience. There still aren't any truly wireless earbuds we can emphatically recommend to everyone; traditional wireless buds will get you better sound and fewer headaches for the money. The market is starting to mature, however, and some solid options have sprung up. For our money, the Jabra Elite 65t are among the best fully wireless earbuds you can buy. They sound really nice, they have a good, customizable fit, and combined with the robust charging case, battery life is never an issue. 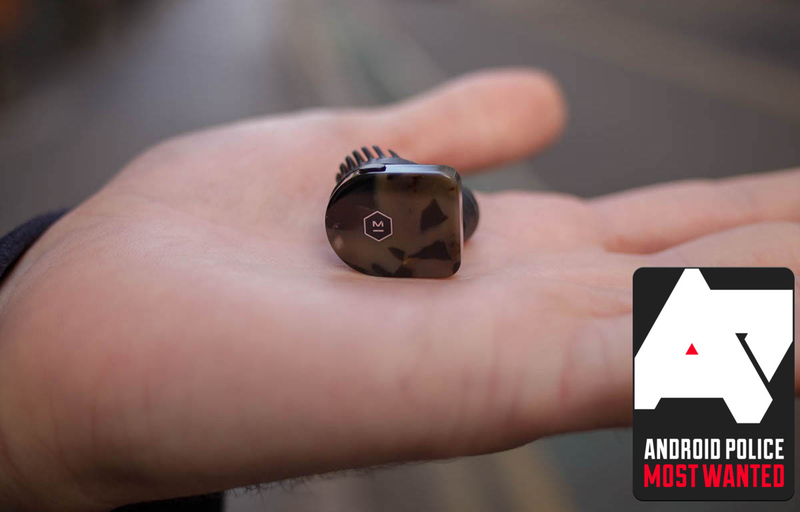 They fire up and pair with your phone in a snap, and they've got a nifty audio pass-through mode to let outside noise in when you need to hear it. Their biggest shortcoming is that, like many of our other Bluetooth picks, they charge with MicroUSB. If you can live with the older charging standard, the Jabra Elite 65t are almost a no-brainer at $170. If you prize sound quality over value, the Master & Dynamic MW07 are worth a listen. While they cost nearly twice as much as the Jabras, Scott was thoroughly pleased with their great sound and "tremendously beefy bass." They're eye-catching, too, if you're into that sort of thing; the charging case is metallic and reflective, and the buds themselves are available in unique tortoiseshell finishes. Battery life is pretty average: a bit more than three hours on a charge. And the case uses USB-C, which is a huge advantage over the Jabra (and most other products on this list). It's a shame, then, that these earbuds are out of most buyers' price range: they're 300 bucks. But if you've got the cash, you'll be very pleased. If you're looking for truly wireless on a budget but the Jabra don't speak to you, there's also the TicPods Free by Mobvoi. They're $130, but their connection strength is kind of crappy and controls are unintuitive. The Plantronics BackBeat Fit 3100 are in the same price range, as well, at $150. They're explicitly exercise-oriented, and while the aesthetic may not be for everyone, it's functional. Back on the high end, the $250 Earin M-2 have nice sound and a novel (and pocketable) tube-shaped charging case. Of course, wireless isn't your only option if you want personal audio but lack the jack. USB-C isn't just a reversible charging standard; it's an all-purpose port, and there are plenty of earbuds that plug directly into it, sans dongle. 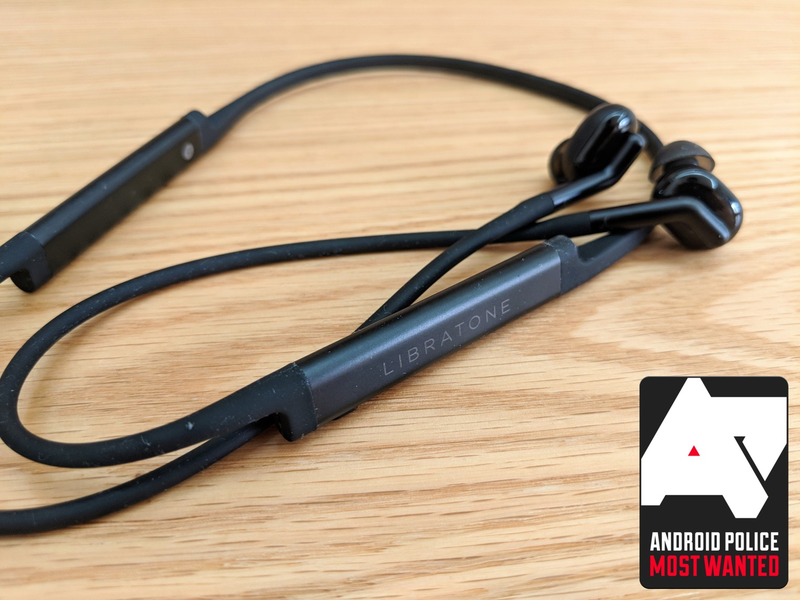 If you want a premium pair of wired USB-C earbuds, you need look no further than the Libratone Q Adapt. Google carries the earbuds on its own store, and they're guaranteed to work with all Pixel phones as well as the Pixelbook (and, presumably, the upcoming Pixel Slate). Richard really liked them, particularly their robust sound profile and noise-canceling capabilities. But they are premium, in both quality and price: the Q Adapt are well into decent over-ear price territory at 150 bucks. Still, if you're the type of person who can keep track of small, valuable items, these could be the buds for you. The Razer Hammerhead USB-C earbuds are pretty substantially different from the Q Adapt. First and foremost, they're a lot cheaper, at about $80. That's still a considerable amount to plunk down on a pair of earbuds, but Jordan was pleased with the sound they produce, particularly for their price. They even come with a carrying case, which is a nice addition and should take some of the worry out of tossing them in a bag. Being a Razer product, though, the Hammerheads have (what I'll euphemistically call) a polarizing aesthetic. 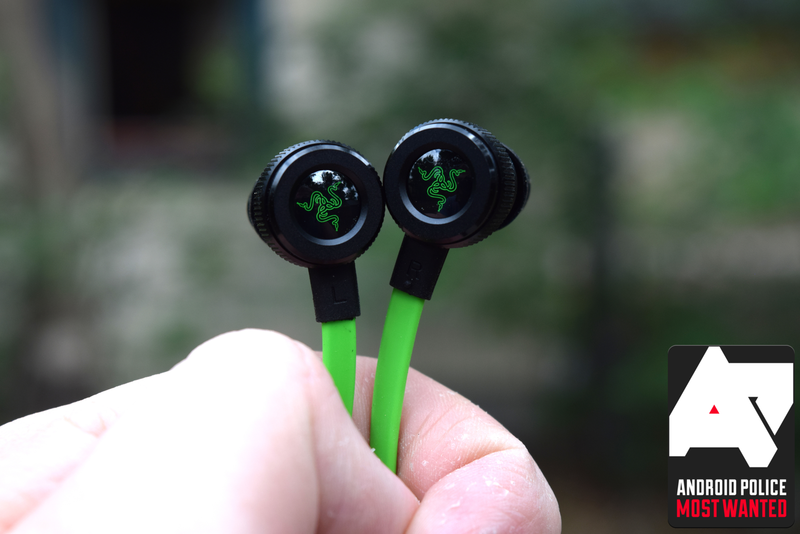 The cable is neon green, and they feature Razer's very recognizable snake insignia on each bud. Jordan was also unable to get them to work with his OnePlus 5T, so read up on compatibility before you buy. But say you want to get decent audio out of your phone without spending dinner-and-drinks money for it. Last year around this time, that probably meant using a dongle and whatever cheapo earbuds you had lying around — but now, you've got options. The USB-C earbuds Google packs in with the Pixel 3 can be purchased on their own for $30, and they're actually not bad. Highs are a little muddled, and they've got the same divisive cable loop deal to hold them in place as the Pixel Buds, but for the price, they're fine. OnePlus also released the Type-C Bullets this year, which are even cheaper at $20. They aren't as bassy as Google's offering, but higher frequencies sound better, and the buds feel higher quality, with a thicker cable and a less plasticky finish on the earpieces. Also, if you've got a pair of traditional earbuds that you like, there's no shame in using the dongle that came with your jack-less phone. Prefer over-ear headphones? No problem! There's no shortage of wireless cans to suit just about any taste or budget. Rita reviewed the Bose QuietComfort 35 back in 2016. 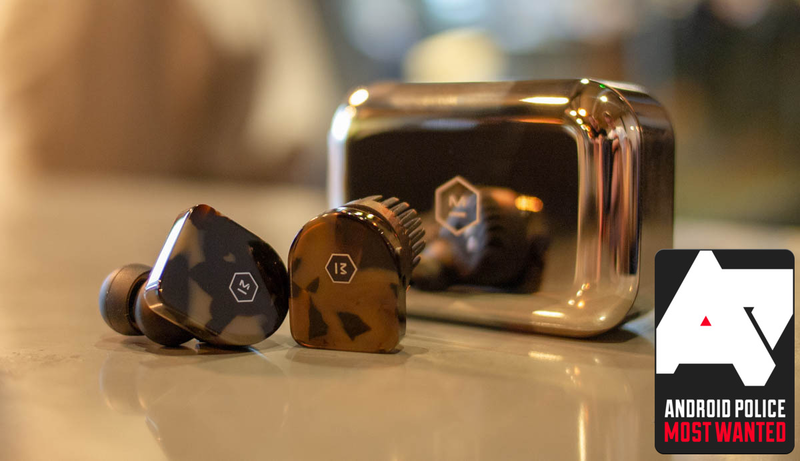 Their sound profile is pleasingly natural, they're portable, and they're super comfy. Battery life is commendable; they're rated for 20 hours of playback, and Rita saw a couple weeks of on-and-off use on a single charge. 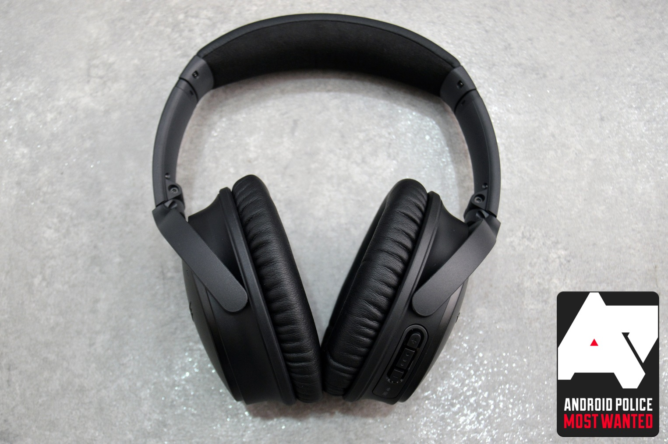 They also sport some quality active noise cancellation, which, along with their included carrying case, makes them great for travel. The newer QuietComfort 35 II are everything that's good about the originals, plus Google Assistant access, and just like last year, they're landing on our Most Wanted list. But the QC are Bose, which means, to an extent, you're paying for the name: these guys aren't at all cheap at $349. They also charge with MicroUSB, which, while far from an uncommon annoyance, is all the more grating given their price. But if you're looking for high-quality headphones that you can almost forget you're wearing, this pair is definitely an option. It's hard to fault someone for not wanting to shell out Bose cash for a pair of nice-sounding headphones. To those savvy shoppers, we recommend the Noontec Zoro II Wireless headphones. Jordan spent some time with them early this year, and was pleased with their audio quality and stellar battery life. 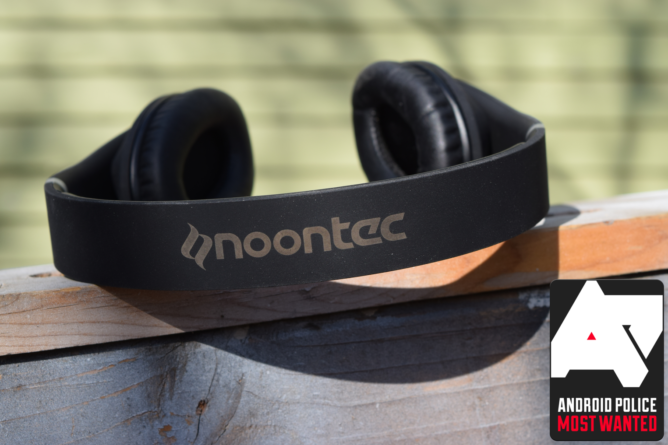 Unlike the Bose, Noontec's headset is heavy on the bass, which many people prefer. They also eked out nearly 40 hours of listening time per charge, which is very impressive. Unfortunately, they're not super well constructed. They feel a little cheap, flexing and creaking with pressure, and they're nowhere near as comfortable as the more expensive QuietComfort. They are stylish, though. A big draw of the Zoro is the price. At $130 (or even less), they're considerably less than half the cost of the QuietComfort. If neither of the above options tick all your boxes, consider the Plantronics BackBeat Go 810 or BackBeat Pro 2. For $150, the Go 810 offer many of the same benefits as the aforementioned Bose, while the Pro 2 are a little pricier and a little nicer. And although we haven't personally tested either, Grado's GW100 offer acclaimed sound and build quality in an undeniably cool package for $250, while Sony's WH1000XM3 are in the same $350 ballpark as our Bose pick, but with USB-C charging (hallelujah) and, allegedly, ever better noise cancelling. Headphones are great and all, but sometimes you want to share music with other people, and passing earbuds around a party can get awkward. With the advent of smart speakers, it's never been easier to fill your home with your tunes of choice, and we saw plenty of great entries in that product category this year. 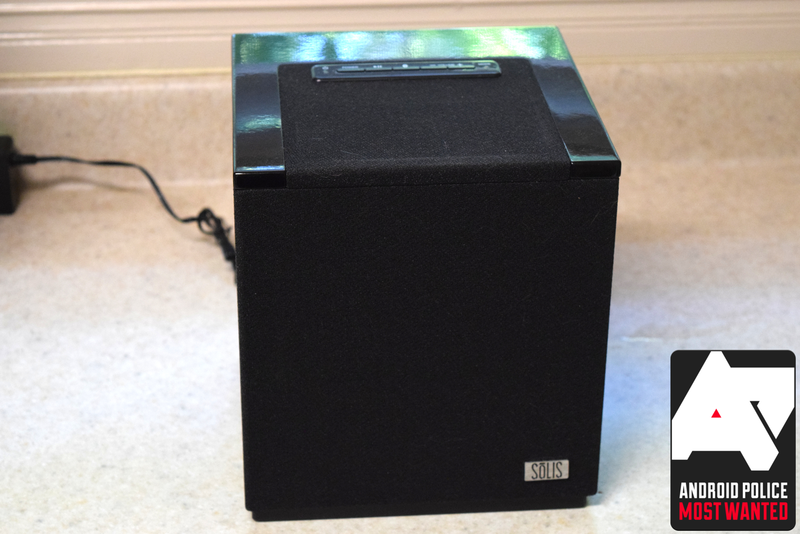 Sōlis makes some darn fine speakers, and according to Jordan's review, the SO-7000 is no exception. The chunky black cube is plain enough to blend into just about any decor, or be ignored altogether if placed on a low shelf. More importantly, it sounds really nice, with solid reproduction of highs, mids, and lows. You can use the thing in just about any way you please, thanks to a combination of 3.5-millimeter auxiliary input, Bluetooth radios, and Cast support. Casting directly from audio apps can be tricky if the speaker has entered deep sleep, but initiating the stream from the Google Assistant is consistently reliable. The speaker was going for about $300 earlier this year, but you can find it for $250 or so now. It isn't as handsome as competing products from Lenovo or Google, but this list is all about audio, and the JBL Link View is the best sounding smart display you can get right now. In her review, Rita cited the unit's "enveloping sound and oomph," and you can really feel the thing rumble with bass. The speakers are powerful, with nice stereo separation. Looks are a sore spot, though, with the Link View's ovular design falling somewhere between pedestrian and outright ugly. There's also the matter of price: it costs $250, and that amount of money spent on a dumb speaker setup and a Chromecast Audio will surely get you better sound. Whether the added functionality of a smart display is worth it is up to you. Speaking of Chromecast Audio, it's a really good, really cheap solution if you're looking to graft some streaming smarts onto your existing audio setup. 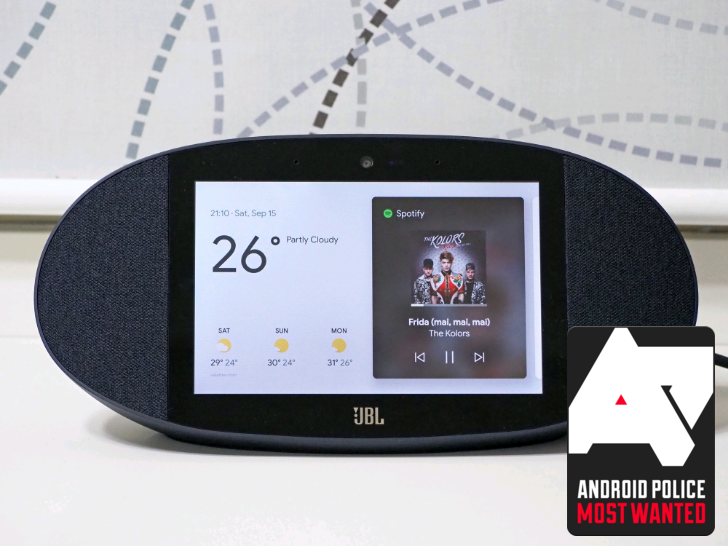 There are also JBL's non-smart display Link speakers; the Link 20 sounds a lot like the Link View for $50 less. And if you're feeling the SO-7000 but not its price tag, the smaller SO-3000 is available, again, for about 50 bucks less. Still into Bluetooth? Check out the Tribit X-Boom. It's not smart, but it's fully portable and sounds great for $70. And if you want to go all in on loudness and smarts, Google's Home Max is still king of the hill — and also still $400. Like we said at the top, there are a ton of great audio options for technologically-inclined. Hopefully our doing the legwork of researching and testing a bunch of them saves you some hassle this holiday season. Happy shopping!